Zeinab Shaaban Abd El-Ati Abou El-Naga, born in 1980, studied chemistry and zoology at Mansoura University, Mansoura City, Egypt. 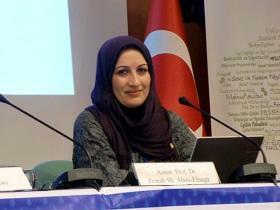 After her PhD, she performed a post-doc at Jacob's University, Bremen, Germany. Since 2008, she has been a lecturer in the faculty of science at Mansoura University. Dr. Abd El-Ati studies the relationship between the chemical structure of the isolated natural compounds and their biological activity in order to illustrate their mode of action as insecticides. She looks for new biological insecticides, originating from different organisms, such as plants and microorganisms, which will be used for the development of new environmentally safe insecticidal products. I was born in January 1980 in Egypt and graduated in May 2000 from the Chemistry/Zoology double program of Science at Mansoura University, Mansoura, Egypt. The course was in English. I received my Masters and PhD Degrees in the field of Chemical Insect Pest Management. I finished my PhD by the end of 2007. Since then, I have had a great feeling of scientific freedom. At the beginning of 2008, I had traveled to Germany to take up a post doctoral fellowship at Jacob's University, Bremen, in the lab of Professor Nikolai Kuhnert working on natural product chemistry. I attended some international scientific meetings at different German Universities, as well as many international and national conferences. Since 2008, I have been a lecturer at Mansoura University and soon I hope I will be promoted from lecturer to assistant professor — this is my next career goal. Place of Birth: Mansoura, Egypt. Official address: Zoology Dep., Faculty of Science, Mansoura University, Egypt. Studying the relationship between the chemical structure of the isolated natural compounds and their biological activity, in order to; illustrate its mode of action as insecticides. Moreover, we are looking for new biological insecticides, from different organisms, such as plants and microorganisms, which will be used for the development of new environmental safe insecticidal products. - Chemistry of natural products (extraction, fractionation. Isolation, spectral analysis, identification, and insecticidal activity test. - Spectroscopic means: GC/MS, LC/MS-MS, IR, UV & NMR of organic molecules. - Harmful insects (specially mosquitoes and strode grain insect pests) control by discovering and seeking of the new natural insecticides. - Dealing with medicinal and aromatic plants as a reach source of natural bioactive products. - Assessment of water resources and their management as an important issue for sustainability. 1. Entomologist specialized in the field of controlling insects and their biology. = Identification of Anopheline, Culicine and Aedes. = Collection of immature from the field, Oviposition experiments, Colony maintenance of vector species. 2. On the other hand of Chemistry, expert in dealing with scientific instruments (spectral analysis instruments) by having a training in the use of GC/MS (Varian Saturn 2100) and high field NMR spectroscopy (Jeol ECX 400 MHz), independently. in addition to using the most recent spectral instrument LC-MS tandem mass (Bruker HCT ultra) and the modern NMR spectroscopy (2-D NMR). 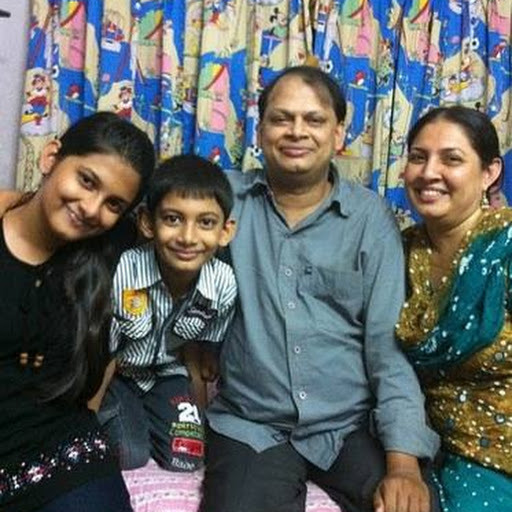 All of these experiences were gained in Jacobs University (IUB), Bremen, Germany. 4.Using scientific computer programs such as: Chemoffic, Chemwin, Ldp- line and SPSS statistical program, in addition to the adobe Photoshop, Microsoft Office programs, and the scientific databases (e.g. SciFinder CAS). 1- Local preparatory training in the information technology software (Dos, Windows, Microsoft office & internet) also, introduction to PC maintenance & protection, from 12/5/2001 – 5/7/2001. 2- Local training on the study and research skills in English, Faculty of Education, Mansoura University, from 12/5/2001 – 5/7/2001. 3- Local training on management skills and public relations, Faculty of Business, Mansoura University, from 12/5/2001 – 5/7/2001. a. Thinking Skills, (20 hrs), from 5-8 June 2005.
b. Methods of Scientific Researches, (20 hrs), from 19-22 June 2005.
c. Effective Presentation Skills, (20 hrs), from 31/7/05 – 3/8/05. d. Effective Communication Skills, (20 hrs), from 18- 21 September 2005. 5- Complementary course in the installation of the electronic microscope and uses different methods and different sample processing vital, Zagazig University, Faculty of Science, Electron Microscope Centre, from 25-27 March, 2007 . 6- Having a program of Universal Lecturer training cycle number 61, Faculty of Education, Mansoura University, 1-11 July 2007. 8- Participant in the “FP7 Workshop”.13th November 2008 organized by DAAD. In addition to “proposal writing workshop” 11th November 2008. 9- Attendance of Session to prepare leaders, from 24th to 29th of July 2009. 12-A member of DAAD Alumni Academy (Certificate - 2nd Intake). A training courses in the following subjects:Communication in teams , Basics of Management and Leadership , Time Management and Planning , Strategic Management , Conflict Management and Negotiation , and Finance for Non-Financials,Creativity, Business planing, positive thinking, change management, solution thinking . 14-Passed the TOT (prep47), Held in Mansoura,16-20 July 2011. Responsible for teaching some academic courses for undergraduate and postgraduate students at Zoology department, faculty of Science, Mansoura University. -Presenting some training courses for the graduating students during summer training period. 1- Chemistry of natural product insecticides (Lectures). 2- Entomology (Taxonomy, Anatomy, Morphology, Micro-techniques, and histopathology) (Lectures & Practical). 3- Ecology & Egyptian fauna (Lectures & Practical). 4- Chemical control of insects (Lectures & Practical). · Attendance a workshop on “Architeccture in Nanospace” by Nobel laureate, Sir Harold Kroto. At Jacobs University (IUB), Bremen, Germany. May 27, 2008. · Participant in SUMMER SCHOOL 2009 (NOP), “Sustainability in the organic chemistry lab course” at Technische Universitat, Carolo-Wilhelmina, Zu Braunschweig, Germany. From 24th March to 4th, April 2009. · Attendance the 2nd half of the UN Decade conference(UNESCO for Education for Sustainable Development, ESD), held in Bonn, Germany. From March, 31th to April 3rd 2009. · Participant at the International Symposium on “Chances and risks of wastewater recycling, urgent issue for sustainability”, TU Braunschweig, Germany. From 24th Oct – 7th Nov 2009. Funded by DAAD alumni program, Germany. · Participant at the international meeting on "Microalgae- Sustainable Resource for Energy and Chemical Feedstock Production – Scientific Aspects and Industrial Applications", TU Braunschweig, Germany. From 27.06 – 04.07. 2010. Funded by DAAD alumni program, Germany. · DAAD-WinterSchool, & online Educa 2010: "Accreditation: E-learning in the age of globalization " , Freie University Berlin, Germany. From 22rd November to 4th December. Funded by DAAD alumni program, Germany. · Awardof the best PhD thesis in the biological Science, Mansoura University, Egypt (2008-2010). · Project Partner " Molecular studies and different methods for controlling mosquitoes insect in El-Dakahlia governorate". Funded by the research unit, Mansoura University. (2006-2008). Active member at the Continuous Improvement and Quality Accreditation Project (CIQAP) , Faculty of Science-Mansoura University, funded by the national authority for quality assurance and accreditation of education. Project Partner of the Alunmi Special Project "Education for Sustainable Development", (2009). 1- Member of the Third World Organization for Women in Science (TWOWS)…………………………………………….…………...(2010- 2011). 2- The natural health product Research Society of Canada (NHPRS) (2009-2011). 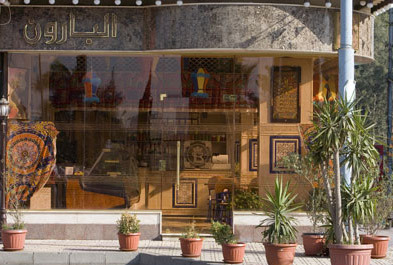 3- Egyptian Society for Environmental Sciences (ESES) …………...(2009-2011). 4- Arab society for plant protection (ASPP)………………………... (2009-2011). 5- Member of the DAAD Alumni Academy………………………...(2010-2011). Organizing member in “the 2nd international conference on biological and environmental sciences (ICBES 2nd) which will takes place in Mansoura University-faculty of science (Zoology & Botany Dep.) from 13 to 16 March 2010. A member of DAAD Alumni Academy (Certificate - 2nd Intake). At DAAD Cairo office from 2nd March to 11th of May (2010). Advisor to the student commission for art activity of the student union at the faculty of Science, (2010). Consultant in the field of environmental safe insecticides. M.Sc. Title: "STUDIES ON THE INSECTICIDAL EFFECT OF CERTAIN NATURAL PRODUCTS ON SOME ECONOMICALLY IMPORTANT INSECT SPECIES". Recorded Ph.D. in Philosophy of Science: Mansoura University, Faculty of Science, Entomology, and the recording date were from 2005. * Ph.D. in Science, Chemistry of Natural Insecticides: titled with “Biological and chemical studies of some natural plant extracts and their constituents for the control of the household mosquito”, Mansoura University”, February (2008). * Postdoctoral fellowship (Chemistry) at Jacobs University, Bremen, Germany June, 2008. 1- Assistant researcher at the system of the Environmental Affairs, time from 9 to 11-2001. 2- Restorative in Department of Zoology-Faculty of Science- Mansoura University, from 12/2002 – 9/2004. 3- Assistant Lecture in Department of Zoology-Faculty of Science- Mansoura University, from 2004-2008. 4- Lecturer in Department of Zoology-Faculty of Science- Mansoura University, from April-2008 till now. Studying courses (ZD) in German languish at deutsche Welle online learning. · 9th International Conference on Chemistry & its Role in Development (ICCRD’9), held in Mansoura & Sharm Elsheikh, Egypt, from 16-22 April 2007. · 1st International Conference for Biological & Environmental Sciences (ICBES’1), held in Mansoura & Hurghada, Egypt, from 13-16 March 2008. · 10th International Conference on Chemistry & its Role in Development (ICCRD’9), held in Mansoura & Sharm Elsheikh, Egypt, from 16-22 April 2009. · 2nd half of the UN Decade conference(UNESCO for Education for Sustainable Development, ESD), Bonn, Germany, from March, 31thto April 3rd 2009. · 2nd International Conference for Biological & Environmental Sciences (ICBES’1), held in Mansoura & Luxor,Egypt, from 16-21 March 2010. ·7th NHPRS Research Conference, held in Halifax, Canada, from 23-26 May, 2010. · e.KnowNet "Science from the Lab to the Public, Berlin, Germany, 29-30 November 2010. ·Online Educa 2010, Berlin, Germany, 1-4 December 2010. ·The Egyptian-German Society of Zoology conference, Bani Sweif university, Faculty of Science, March, 2011. 1- Salem H. A., *Abo El-Zahab M. M., and Abd El-Aty, Z. Sh., " Effect of some Pure Natural Products from khella plant Ammi majus (Fam. : Umbelliferae) against Culex pipiens Mosquito Larvae". J. Egypt. Ger. Soc. Zool. Vol. (50E): Entomology 99-116, (2006). 2-Salem H. A., and Abd El-Aty, Z. Sh.,. Insecticidal and Histopathological Effects of Piperine from Black Pepper Piper nigrum(Fam. : Piperacecae) against Culex pipiens Mosquito Larvae. J. Egypt. Ger. Soc. Zool. Vol. (56E): Entomology 57-78, (2008). 3-Sallam A. M., and Abu-Elnaga, Z. Sh., (2008). Evaluation of the insecticidal and repellent activity of Piperine from black pepper (Piper nigrum) fruits, on the cotton-leaf worm, Spodoptera littoralis (Lepidoptera: Noctuidae). J. Egypt. Ger. Soc. Zool. 4-Sallam A. M., and Abd El-Aty, Z. Sh. Insecticidal activity of some natural products on the confused flour beetle, Tribolium confusum (Coleoptera: Tenebrionidae). 9th International Conference on Chemistry & its Role in Development (ICCRD’9), held in Mansoura & Sharm Elsheikh, Egypt, from 16-19 April 2007. 5- Sallam A. M., Mamdouh A. M and Abd El-Aty, Z. Sh. (2008). Larvicidal and mosquito repellent action of lavender oil (Lavandula angustifolia). International Conference for Biological & Environmental Sciences (ICBES’1), held in Mansoura & Hurghada, Egypt, from 13-16 March 2008. 6- Z. Abo Elnaga, N. Kuhnert , M. Abdel-Mogib, "Insecticidal activities of Zingiber officinalis and cynbopogon nardus”, Pharmaceutical Biol. 2009, 47, 27. 8- Walied M. Alarif, Zeinab S. Abou-Elnaga,*,Seif-Eldin N. Ayyad, Sultan S. Al-lihaibi, (2010) :" Insecticidal Metabolites from the Green Alga Caulerpa racemosa", CLEAN – Soil, Air, Water, (38), Issue 5-6, pages 548–557. 9- Z. Abou-ElNaga, A. El Demerdash, E. M. Keshk, A. M. Dawidar, and M. Abdel-Mogib, 2011:"Chemical constituents and insecticidal activities of the non-polar extract of Curcuma longa against Tribolium confusum",clean J. (under reviewing). 10- Zeinab S. Abou-Elnaga, Walied M. Alarif, Sultan S. Al-lihaibi, (2011): New Larvicidal Acetogenin from the red algaLaurencia papillosa. CLEAN – Soil, Air, Water (accepted and inpress). around the world is proud of them Egyptians everywhere their first attention from an individual has no value and will give you all the attention they deserve from us and thanks to them we are proud that we are Egyptians. Managed researcher Dr. Zainab Shaaban Naga teacher Zoology Department, Faculty of Science, Mansoura University of the discovery of chemical compounds extracted from plant Ipecac water and algae to combat mosquitoes and the support of Jacob German University. after successfully detect these compounds. Said Dr. Zeinab, according to the newspaper "Al-Ahram" it is the only Arab who won this title the nomination of Publishing Scientific World (Wiley) and the United Nations on the occasion of the centenary of the Nobel Prize in chemistry to Madame Marie Curie and added that the study included a compilation of some of the important plants Medical and safe to humans and the environment in order to draw and discover chemical compounds naturally have an impact Ebadi and repelling insect mosquitoes in order to control more roads safe for the environment. and that for the first time are separated two compounds in pure plant Ipecac and are very effective in the destruction of insect mosquito This is a scientific achievement unprecedented did not mention or record the scientific literature before. 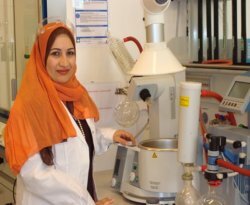 The researcher said she has done the most recent analysis in order to identify the conclusion and effective chemical composition of materials through Dr. Nikolai Conrt factory for natural products chemistry at the German University. Pharmaceutical Biol. 2009, 47, 27. Super-course lecture entitled "Green chemistry and its role for sustainability"
Clean Soil Air Water 2010, 38 (5-6), 548–557. J. Egypt. Ger. Soc. Zool. 2011, 63E, 50-67. Clean Soil Air Water 2011.